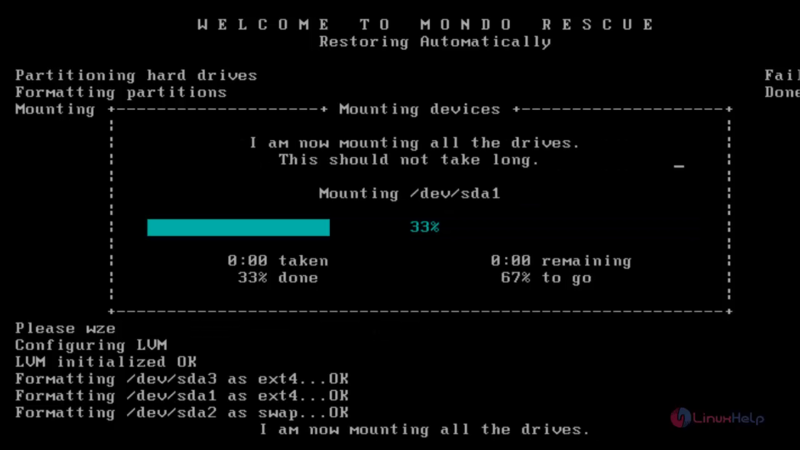 Mondo Rescue is an open source backup tool for creating Backup of your entire system in an ISO image format. In Case, any failure you can use this ISO Image to rescue your system. 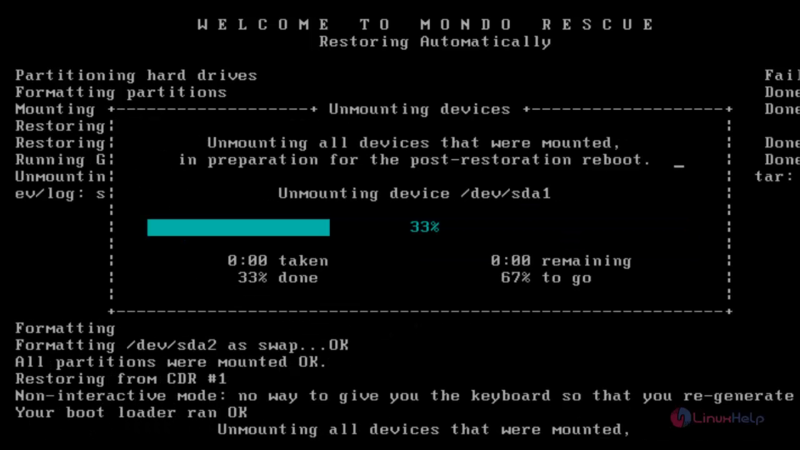 Installation of Mondo Rescue Disaster Recovery Tool is explained in this article. # sh -c " cat mondorescue.sources.list > >  /etc/apt/sources.list"
Under “ /etc/yum.repos.d/” , Download the MondoRescue repository as file name “ mondorescue.repo“ . ==>  SYST ... done. ==>  PWD ... done. ==>  TYPE I ... done. ==>  CWD (1) /rhel/6/x86_64 ... done. ==>  PASV ... done. ==>  RETR mondorescue.repo ... done. 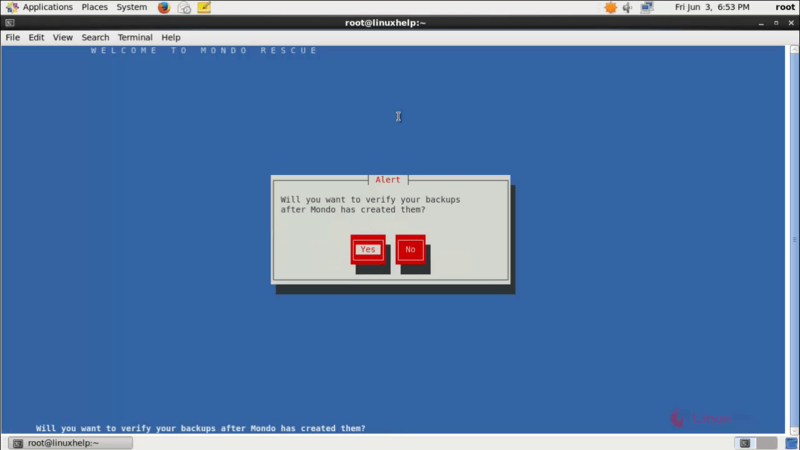 Execute the following command to install mondo. 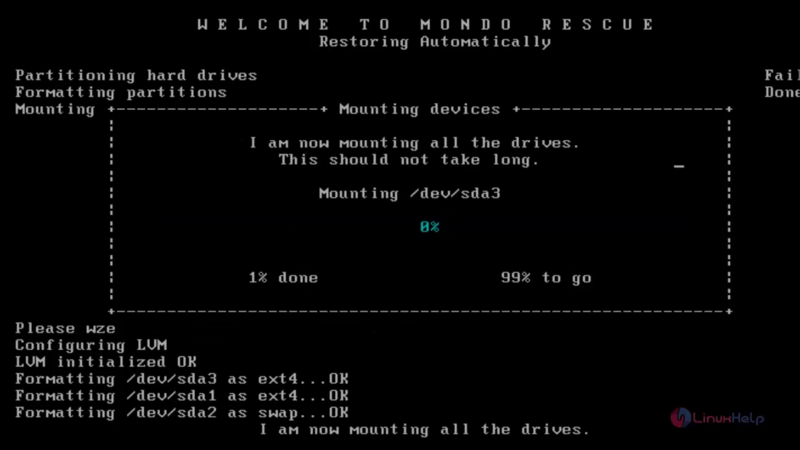 Now Mondo Rescue is successfully installed. 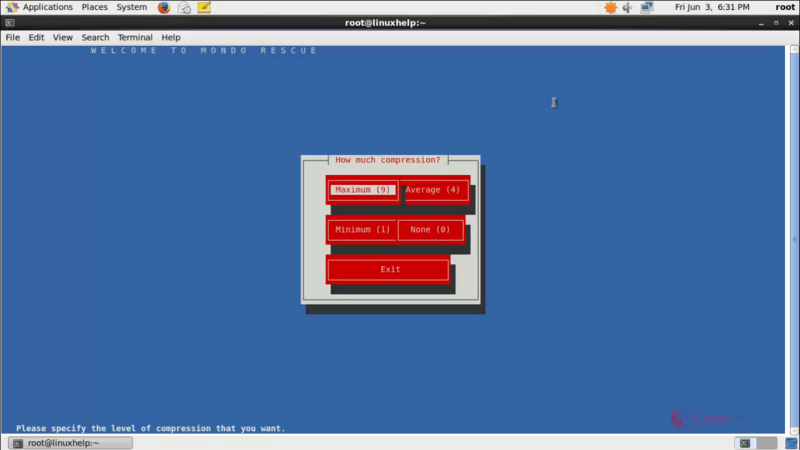 Execute “ mondoarchive” command as “ root” user. Choose the device, where you want to store your backup files. Now choose the directory path in your hard disk to store the back file in .iso format. 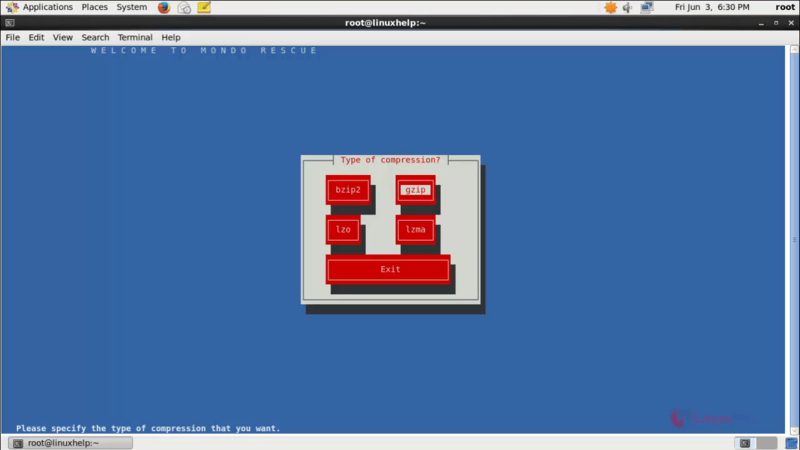 Select the type of compression. Choose the size of compression. Enter the output size for each ISO file, between 700 to 4480 in MB. Type the prefix name for the ISO file. Choose the path to take backup. Default “ /” will take the complete system backup. If you want backup only particular directory you can mention the path. Enter the path if you want to exclude while taking backup. If don’ t want to backup, simply skip it. Enter the temporary directory path. To backup extended attributes choose “ yes” . 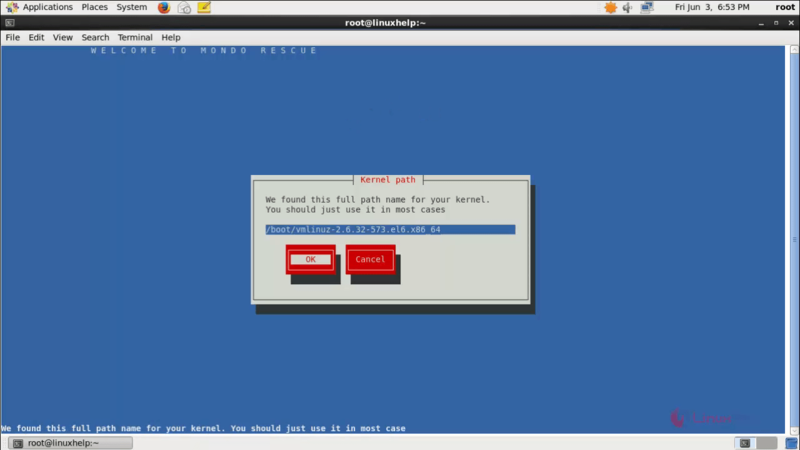 It will find your system’ s kernel path. Select " OK" to continue. 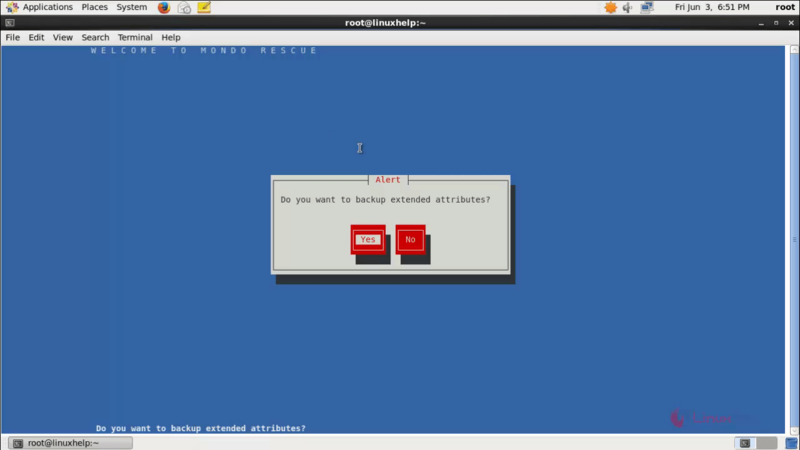 Choose “ yes” to verify the backup after completion. Then choose “ yes” to proceed. Now the Backup starts. Please be patient until the backup process is completed. Now the backup process is completed. Choose “ ok” to return to your shell prompt. After completing backup you may find the ISO file in the backup location you have chosen. By default it is located under /var/cache/mondo. Here, we have chosen the /backup directory. 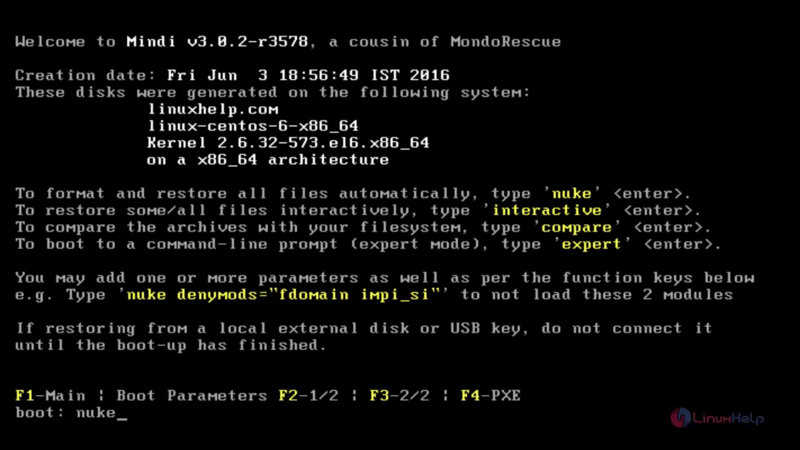 Burn this ISO file into a DVD/CD and boot your system into that DVD to restore your system by using mondo rescue tool. To restore the backup type “ nuke” in the boot screen and hit “ enter” to start restoring. Now the restore process has been started. 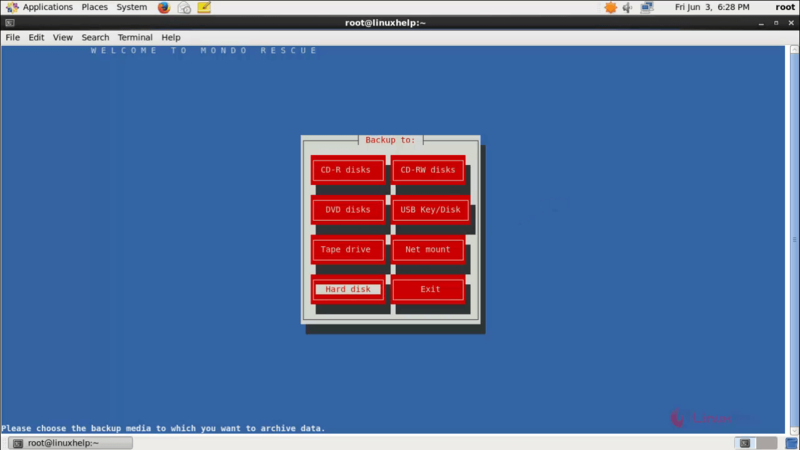 Now the restore process is completed, to take into effect type exit to reboot your system. Can I combine multiple outstanding orders together to save some money on shipping? If the products in your orders require the same type of packaging/mailer & have similar shipping timelines, we can combine shipments for you! Please be sure to contact us IMMEDIATELY so we can assist you before the individual orders are fulfilled. Please note: we are unable to hold an order for future combination. Who is your mail service provider and what type of shipping methods do you use? We ship most orders via USPS Media Mail, Priority Mail, and USPS First Class International.